How does Mercedes-Benz Service ASSYST help you save money without compromising the performance of your car? Many mechanics will insist on an in-depth service every year, “just in case”. In many cases, this is an effort to squeeze extra money out of your wallet – the truth is, there are some routine services that simply don’t need to be performed every year! Mercedes Service ASSYST saves you money without compromising service, performance, or safety. It does this by tracking the health of your components and systems, only alerting you to specific maintenance tasks when they’re actually needed. Mercedes-Benz have been using electronic control units in vehicles as early as the 1970s, more than a decade earlier than most manufacturers. In addition to playing your music or planning your journey, onboard computer systems also tracks usage and the condition of different parts. This is Mercedes Service ASSYST. 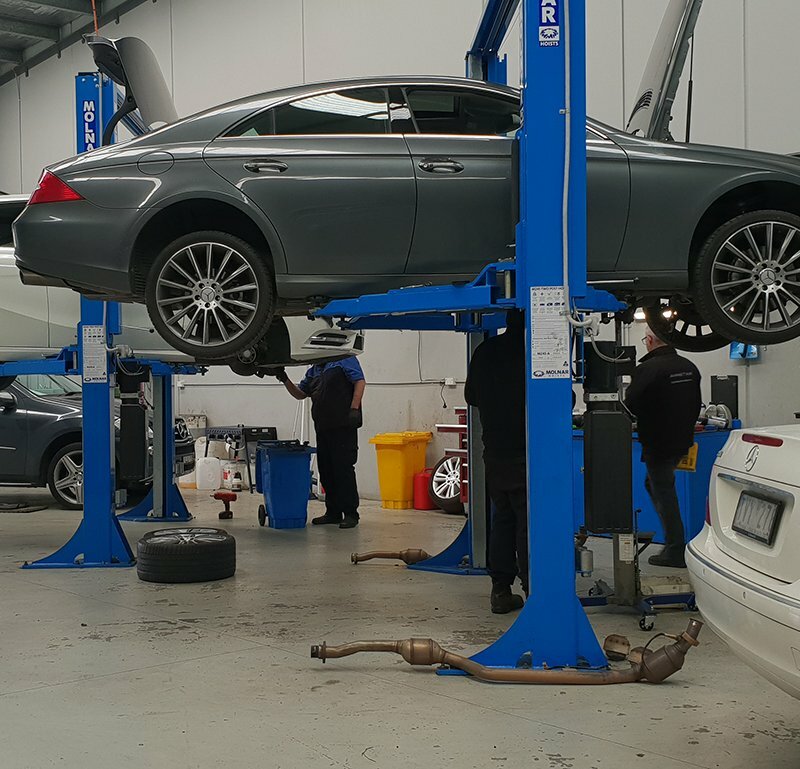 Your Service ASSYST software tells us whether your Mercedes-Benz requires specific services in addition to your routine service package – commonly referred to as condition-based servicing. The upshot is you only pay for maintenance services when you need to – some parts can go longer than others after all. Variable servicing means you only pay for what’s needed, and not a dollar more. I like being treated with honesty and high service approach. Great service , loan car can’t ask, friendly staff, can’t ask for more. I was very happy of the service provided and friendly staff. Very professional. Am impressed with the workshop conditions. The servicing here was top quality from start to finish. Open and honest interaction with issues explained logically. What does Service ASSYST include? These are just some of the things you need performed annually, and form the basis of every routine service. Mercedes recommends Service B every second year, alternating with Service A. In addition to everything included in Service A, Service B also features a range of additional routine services that don’t require annual inspection like cabin filter replacement. During Service B, we perform a computer diagnostic test. By accessing your Service ASSYST software, we perform additional items on an “as needed” basis. By scheduling these tasks every second year, you avoid paying for unnecessary services. In addition to the routine tasks included in Service A and B, Service C also includes additional services. The only way to ensure your Mercedes receives the a comprehensive Service C is to leave it with a team of specialists like Ammstar!